Bank of America released a press release Tuesday, May 15th, announcing the launch of a nationwide program offering delinquent homeowners more assistance with relocation expenses upon the completion of a qualifying short sale. Qualifying borrowers could receive anywhere from $2,500 to $30,000 in cash upon the close of a short sale. The amount of assistance provided under the new program is determined on a case-by-case basis, taking into consideration the value of the home, amount owed and other considerations not clarified in the press release. Bob Hora, an executive in home transition services for Bank of America, stated that the company is committed to providing alternatives to foreclosure whenever possible. This program will benefit homeowners when all other home retention offers have been exhausted. To see if you qualify for the relocation assistance payments under the new program, call Blick Law Firm today. The short sale must be initiated by the end of the year and close by Sept. 26, 2013. If you have already started a short sale process and have not closed, you may still be eligible for this program. Bank of America is currently the only bank offering this program to its homeowners. While it is available nationally, the greatest response is expected from borrowers in California, Nevada, Arizona, Florida and the other states hit hardest by the housing market. Feeling overwhelmed by a massive amount of debt? Feeling the weight of the economy piling on your shoulders? At Blick Law Firm, we understand that filing for bankruptcy can be a very difficult and emotional process. However, it is important to remember that bankruptcy protects and provides relief for people overwhelmed with debt. Bankruptcy laws liquidate assets to pay debts or create repayment plans to help people make a fresh, financial start. People with businesses are also able to file bankruptcy for orderly distributions of liquidation or financial re-organization. Most bankruptcy cases are filed under Chapter 7 or Chapter 13 of the Bankruptcy Code. Federal courts have exclusive jurisdiction over bankruptcy cases, so they cannot be filed in a state court. The difference between a successful and an unsuccessful bankruptcy claim lies in correctly filing information and paperwork. Make sure you take the proper steps and precautions when filing for bankruptcy. Blick Law Firm has the expertise to assist you with your bankruptcy claim. We guide our clients every step of the way to answer any questions that may arise and ensure your claim is successful. In today’s economy, filing for bankruptcy is common and often the best alternative. Rise above your current financial situation and take control today. Call Blick Law Firm to set up your FREE consultation to see if you qualify for a Chapter 7 or Chapter 13 Bankruptcy. When filing for bankruptcy…DON’T do anything out of the ordinary in your finances beyond paying your regular bills and household expenses. DON’T transfer any money or property to any one without first speaking to your chapter 7 bankruptcy attorney. DON’T omit any information about your finances. DON’T miss your meeting with the creditors. DON’T omit any creditor from your bankruptcy filing. DON’T be afraid or overwhelmed. Blick Law Firm is here to assist you. Call today to receive your consultation at 813-931-0840. Think quick, call Blick. Tips to avoid boating under the influence, according to the Boating Safety Resource Center of the U.S. Coast Guard. * An alcoholic beverage is only to be consumed by those of the legal age of 21 and older. Keep stock of plenty of water and non-alcoholic beverages for hydration. Bring snacks and other food items to reinforce energy as needed. Avoid fatigue. Limit your trip to a reasonable time. Drinking alcohol on the water may accelerate fatigue possibly resulting in an accident or injury. Be cautious to party ashore, at the dock, boating club, etc. Allot drinking time to these and not behind the wheel of your boat. Wait a reasonable time after drinking an alcoholic beverage before operating your boat. Having no alcohol on board is the safest way to enjoy the water. Intoxicated passengers may be at risk of injury or falling overboard. Spread the word. Boating under the influence is just as serious as drinking and driving, if not more. *A boat is still a vehicle. Boating, fishing and other water sports are fun in their own right. These water sports are meant for enjoyment but may turn in the course of an accident, as a result of drinking alcohol. Take these initiatives to follow for a safe and fun summer on the water. Do not drink and boat. If you however find yourself in this unfortunate accident, please give a Tampa boating accident attorney a call today to assist you in your claim. Call 813-931-0840 today! May means school is out and flowers are in bloom. 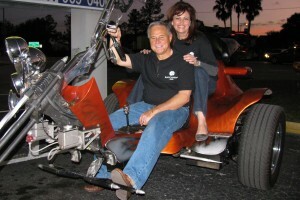 But May also welcomes more motorcycles on the road as a result of Florida’s sunshine weather. On May 1, 2012 many on two wheels began a very important awareness. Motorcycle Safety Awareness Month. Due to the increase in the amount of motorcycles on the road, this causes a new set of safety concerns, which launched this nation-wide campaign. This national awareness month aims to bring attention for motorists to be mindful and cautious of motorcycles on the road. Not only does this month hope to bring a general awareness but it also sends a message of comradery for all to “share the road” with one another, safely. This national initiative lasts the whole month of May and is being promoted from state to state. At Blick Law Firm we encourage Motorcycle Safety Awareness Month, celebrated the month of May. 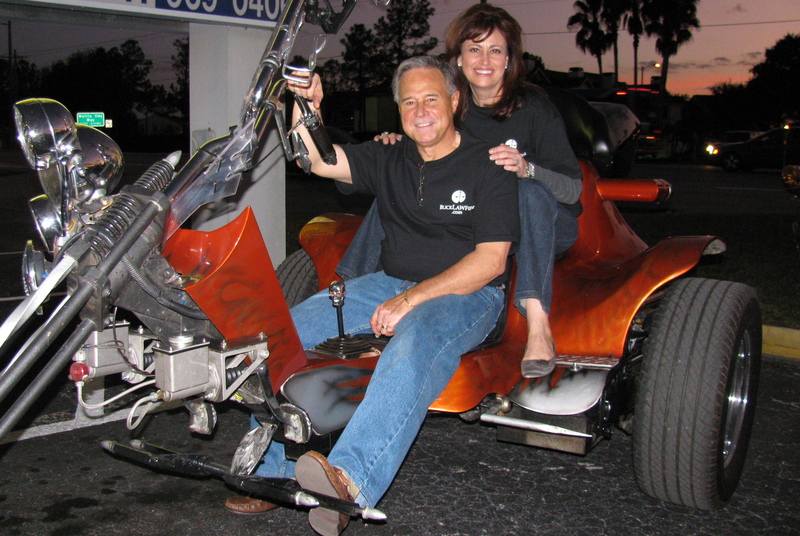 As a Tampa personal injury law firm, we see serious injuries or even lives taken all too often due to serious motorcycle accidents. How to prevent this? It starts with awareness. Take time to share with others this month and what it represents for your safety and those you ride with. Look Twice. Save a life. Call 813-931-0840 for more information regarding motorcycle safety tips and how to stay safe on the road. If you find yourself in an unfortunate motorcycle accident, call Attorney Michael Blickensderfer today to assist you with your claim due to others’ negligence. Are you struggling to pay your mortgage? Have you fallen behind on your mortgage payments? Is your home now worth less than you owe on the mortgage? Are your payments and interest sky high and unaffordable? Are you facing foreclosure? Has your lender denied you assistance? If you answered “yes” to any of these questions, call a Loan Modification attorney immediately to see if you qualify for a loan modification program. A Loan Modification is a permanent change in one or more of the terms of a Borrower’s loan, allows the loan to be reinstated, and results in a payment the Borrower can afford. *This is not a short sale or refinance program. Loan Modification programs have been initiated to provide the homeowner, who has experienced financial hardship, options to reduce the interest rate or principal balance of their home loan, or both. These programs make monthly mortgage payments affordable according to the homeowners financial situation in order for the homeowner to remain in their home. Why hire a lawyer to assist with your loan modification? Struggling homeowners may benefit from hiring a lawyer to try to modify a mortgage or avert foreclosure, and avoiding being caught up in scams, saving overall costs of fees as well as time wasted. With a lawyer you may have a better chance to quickly and accurately get your home approved and modified. Some homeowners try to take this challenge on themselves and while successful at times, it is a battle to win when it comes to dealing with lenders. Lenders deal with many struggling to keep up with their mortgage payments every day. Trying to work with the lenders directly may absorb much of your time. Those who have the assistance of a loan modification lawyer are more likely to get responsiveness from the lender; pushing your loan modification documents aggressively through the piles of other pending approvals. With the help of Blick Law Firm, we will screen you to see if a loan modification is your best option and if so assist you to get your loan modification approved. Call Blick Law Firm today at 813-931-0840 and ask about your modification options! Boating under the influence? Yes, you heard right. BUI. With warm weather approaching, the Gulf waters and many Florida lakes are packed with boats and other forms of water transportation. Boating while intoxicated can be just as deadly as driving and drinking. Did you know? It is illegal to operate a boat while under the influence of alcohol or drugs in every state. The Coast Guard enforces a federal law that prohibits BUI. This law pertains to all water vessels, including canoes, rowboats and Ski Doos. The use of alcohol is involved in about a third of all recreational boating fatalities. The penalties for BUI can include: large fines, revocation of operator privileges and serious jail terms. **If caught, authorities will tow the boat to shore and arrest those that have been boating under the influence. Alcohol affects vision, balance, coordination and judgment. These impairments increase the likelihood of accidents afloat – for both passengers and boat operators. The U.S. Coast Guard data shows that in boating deaths involving alcohol use, over half the victims capsized their boats and/or fell overboard. Alcohol is even more hazardous on the water than on land. The marine environment – motion, vibration, engine noise, sun, wind and spray – accelerates a drinker’s impairment. These stressors cause fatigue that makes a boat operator’s coordination, judgment and reaction time decline even faster when using alcohol. Alcohol can also be more dangerous to boaters because boat operators are often less experienced and less confident on the water than on the highway. Recreational boaters don’t have the benefit of experiencing daily boat operation. In fact, boaters average only 110 hours on the water per year. For more information visit: http://www.uscgboating.org/safety/boating_under_the_influence_initiatives.aspx or contact Blick Law Firm to learn more about Florida boating while drinking at 813-931-0840.